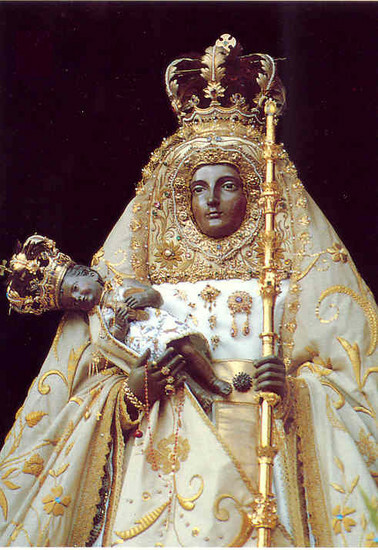 Black Madonna in Candelaria. Candelaria is a town on the southeast coast of Tenerife in the Canary Islands. It is most famous for its basilica, which contains the statue of a Black Madonna that thousands of pilgrims travel to visit each year.